To upload your products to the Google merchant center, please make sure you have entered enough information about the products in ShopFactory. For example if you have not used unique product identifiers such as catalog numbers or EAN or USP numbers, Google will reject your products. To export product data from ShopFactory in the Google XML format, use Marketeer. Start ShopFactory 9 and click on the Marketeer button in the start up dialog. The Marketeer wizard will appear. Click Next. Select a shop to open (choose your existing shop where your products have been created). If the shop is not listed, click the "Open Other" button and locate the shop-folder. At the "Select the products you want to export into the right window" box, scroll down and click "List all products. 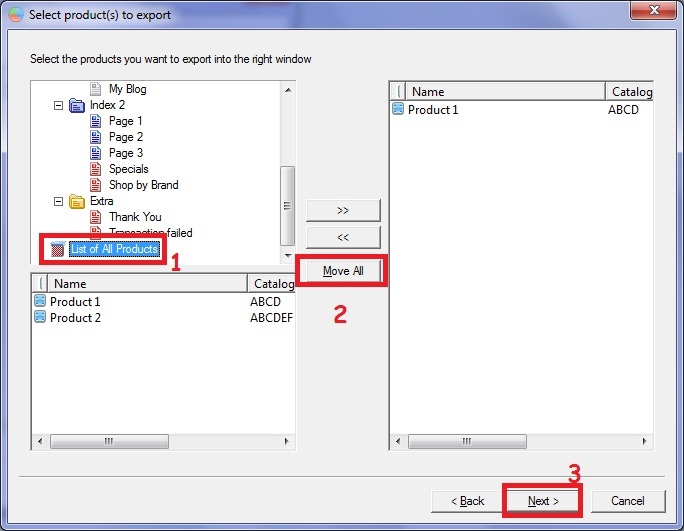 All the products will be displayed below the "Select the products you want to export into the right window" box. Click "Move All" button. All the products will be displayed at the right column. At the "Fields Available" box, you can see the fields that can be exported into Google. Select the fields and move it to "Fields Selected" column. You can choose "Move All" option to move all the fields to the "Fields Selected" column. 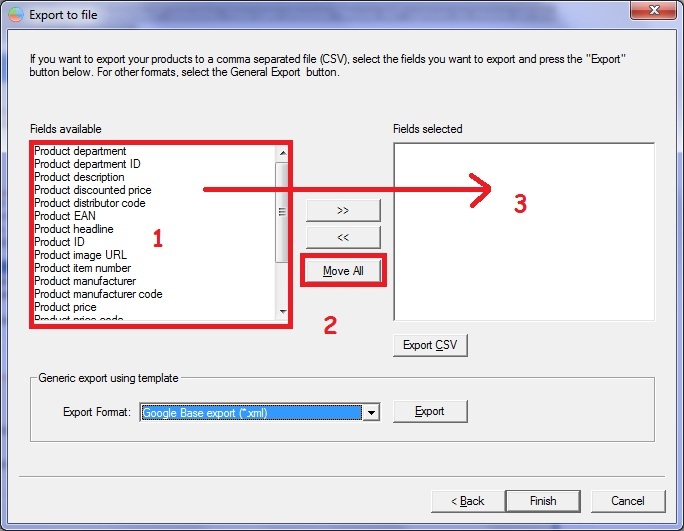 In the Export Format, select Google Base export (*.xml). Click the "Export" button and then type a filename for your file. Take note of the directory where you save the file. You can now submit the XML file to promote your shop in the Merchant Center. See also Search Engine Optimization with ShopFactory.